Alcohol abuse can have a number of short-term and long-term effects. Immediate problems to arise from alcohol intoxication include memory problems, slurred speech, behavioral changes, and slowed reaction time. Excessive drinking over a long period of time can increase the risk of developing a number of chronic and harmful diseases. Various diseases caused by alcohol abuse. Treatment for alcohol abuse and addiction. Medications used to treat alcohol use disorder. Who Answers? to get treatment and reduce the risk of harm to your health. One way to keep drinking in check is to limit yourself to a moderate level of alcohol consumption. Moderate drinking is no more than 2 drinks per day for men and no more than 1 drink per day for women. 4 Unfortunately, limiting yourself to moderate intake, in the long run, may not be enough – in some cases, even a drink or two per day can contribute to health issues. However, if you consistently have more than a few drinks per day, you increase your risk for adverse health effects, addiction and memory lapses. Below are some of the common diseases caused by alcohol abuse. Paralysis of nerves that control the eye. Chronic memory and learning difficulties. Unintentional fabrication or distortion of facts and stories to account for memory lapses. People who drink 7 or 8 drinks a day for at least 5 years have an increased risk. Decreased ejection fraction (the amount of blood the ventricle pumps with each heart beat). Peripheral edema (accumulation of fluid in the limbs). Extra heart sounds due to dysfunction of the left ventricle. Pulmonary rales (crackling in the lungs upon stethoscopic examination). Cardiomyopathy affects the heart (especially the left ventricle) by causing dilation, increased muscle mass and thinning of the walls. 7 Increased mass means the heart has to work harder to pump blood efficiently. If you or someone you know has a problem with alcohol, call 1-888-319-2606 Who Answers? to speak to a treatment placement advisor about finding a rehab program. Learn more about alcohol addiction treatment center options, withdrawal symptoms, quitting cold turkey and how to help an alcoholic quit. The liver metabolizes toxins, such as alcohol. But when someone drinks alcohol excessively and over a long period of time, it puts stress on the liver. Peripheral edema (swelling due to accumulation of fluid in tissues, usually in the ankles, legs and feet). 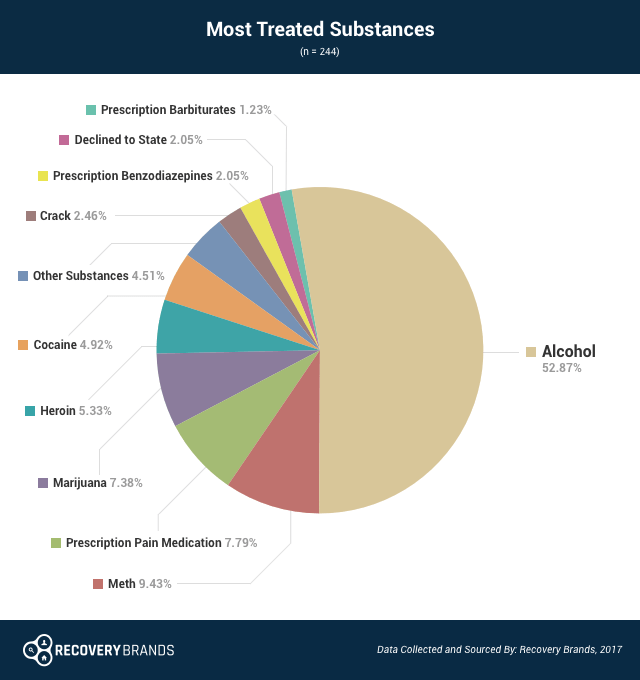 Alcohol is one of the main substances of abuse among addiction treatment attendees, according to a 2017 survey from Recovery Brands. About 69% of survey respondents received treatment for alcohol abuse, and 52.87% of respondents reported that they received treatment for alcohol more than any other substance. Who Answers? to locate a rehab facility. Alcoholic hepatitis, which commonly co-occurs with cirrhosis of the liver, 13 is typically seen in chronic, heavy drinkers. Pain in upper right quadrant (stomach and lower chest). Hepatic encephalopathy (brain dysfunction secondary to liver damage). High blood pressure in the main vein of the liver (portal hypertension). Bleeding problems due to deficient clotting mechanisms. Get help immediately if you or your loved one has any of these signs or symptoms. You can catch the disease early and get proper medical and addiction treatment. Who Answers? to speak to a treatment support specialist about finding a recovery program that’s right for you. Acute pancreatitis, which is temporary swelling of the pancreas and can lead to cell death, 15, 17 can result from alcohol abuse. Intense epigastric pain and tenderness (mid-stomach pain). Circulation can fail in serious cases, 16 which means that the person’s vital organs and tissues do not receive enough blood. Once treated, acute pancreatitis episodes can return repeatedly and are typically caused by an increase in alcohol consumption. Peritonitis (inflammation of the abdominal cavity). If you are diagnosed with acute pancreatitis caused by alcohol consumption, seek treatment for your substance abuse to prevent further complications and the development of chronic pancreatitis. Those suffering from severe alcoholism may benefit from inpatient. Getting treatment for alcohol abuse can help prevent health problems as well as other issues related to addiction, including damaged relationships, loss of employment and legal complications such as DUIs. Traditional inpatient treatment: Those suffering from severe alcoholism may benefit from this type of treatment because it eliminates access to alcohol and offers medically supervised detox. The length of your recovery program depends on individual needs, but most last from 30 days to 60 days to 90 days, though they can be longer if necessary. Most programs include detox, individual and group therapy, 12-step meetings and aftercare. Luxury inpatient treatment: These centers offer the same services as traditional programs but are located in desirable settings and resemble a resort atmosphere. They offer additional amenities, such as spa treatments, yoga, golf, swimming, gourmet meals and horseback riding. Executive inpatient treatment: These inpatient facilities cater specifically to working professionals, such as CEOs. They offer extra amenities such as high-speed Internet, work rooms and private phones. Outpatient treatment: This type of treatment has helped many people with less severe alcohol addictions. It has less structure than an inpatient program and allows you to schedule recovery services around your other obligations. Outpatient treatments can include group counseling, individual therapy, family therapy, education classes and relapse prevention, among many other options. 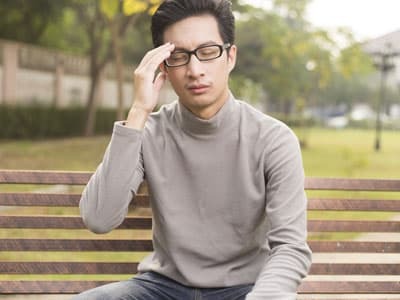 Dual diagnosis: Some rehabs may specialize in treating alcoholism and a co-occurring mental health disorder or addiction, which is known as dual diagnosis. Find a treatment center that can address all your issues to decrease the risk of relapse. 12-step meetings: Twelve-step programs, such as Alcoholics Anonymous, help members get clean and sober by completing a set of recovery steps with the help of a sponsor. These programs are run by those in recovery and do not include professional counseling, medical care or supervised detox. The Food and Drug Administration (FDA) has approved medications to treat alcohol dependence. These medications are most effective at promoting abstinence when they are used in combination with a form of therapy, such as cognitive behavioral therapy. Naltrexone: prevents the desired effects of consuming alcohol and also decreases urges to drink. Acamprosate: restores chemical imbalances in the brain and can help prevent cravings. Disulfiram: causes unpleasant side effects, such as facial flushing, sweating, nausea and heart palpitations, when the person drinks alcohol. It can help to deter drinking behaviors in trigger situations, but may have low compliance in unmotivated patients. Participating in a recovery program for alcohol abuse can help you or your loved one avoid the health consequences of alcohol abuse. If you need help finding a program near you, call 1-888-319-2606 Who Answers? to speak to a treatment support representative. You can receive treatment options based on your insurance coverage. Call the Substance Abuse and Mental Health Services Administration’s (SAMHSA) helpline at 1-800-662-HELP (4357) to learn more about low-cost treatment centers or support groups in your area.
. American Psychiatric Association. Diagnostic and statistical manual of mental disorders: DSM-5. (2013). Washington, D.C.: American Psychiatric Association.
. National Institute on Alcohol Abuse and Alcoholism. (2015). Alcohol Facts and Statistics.
. Centers for Disease Control and Prevention. (2015). Excessive Alcohol Use.
. Piano, M. (2002). Alcoholic cardiomyopathy: Incidence, clinical characteristics, and pathophysiology. Chest, 121(5), 1638-1650. Retrieved April 7, 2016.
. Djoussé, L., & Gaziano, J. M. (2008). Alcohol consumption and heart failure: A systematic review. Curr Atheroscler Rep Current Atherosclerosis Reports, 10(2), 117-120.
. George, A., & Figueredo, V. M. (2011). Alcoholic Cardiomyopathy: A Review. Journal of Cardiac Failure, 17(10), 844-849.
. University of Maryland Medical Center. Cirrhosis.
. National Cancer Institute. (2013). Alcohol and Cancer Risk.
. National Institute on Alcohol Abuse and Alcoholism. Alcohol Consumption and the Risk of Cancer.
. Cohen, S. M., and J. Ahn. (2009). Review Article: The Diagnosis and Management of Alcoholic Hepatitis. Alimentary Pharmacology & Therapeutics 30.1: 3-13.
. Basra, G. (2011). Symptoms and Signs of Acute Alcoholic Hepatitis. WJH World Journal of Hepatology 3.5: 118.
. Johns Hopkins Medicine. (2015). What Is The Pancreas?
. National Library of Medicine: Medline Plus. (2014). Pancreatic Pseudocyst.
. (UK) National Clinical Guideline Centre. (2010). Alcohol-related Pancreatitis. U.S. National Library of Medicine, PubMed Health.
. Banks, P., Conwell, D., and Toskes, P. (2010). The Management of Acute and Chronic Pancreatitis. Gastroenterol Hepatol 6.2-5: 1-16.
. Stickel, F., & Seitz, H. K. (2013). Update on the Management of Alcoholic Steatohepatitis. Gastrointestinal Liver Disease, 22(2), 189-197. Retrieved April 20, 2016.